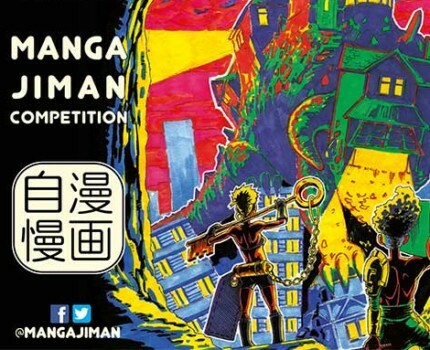 The Embassy of Japan first launched ‘Manga Jiman’, a manga-writing competition open to UK residents, with great success in 2007. The competition has grown rapidly since and is now in its twelfth year. Entrants aged fourteen or over, were required to make some reference to the theme ‘home’ within six to eight pages of original manga. View the winning entries from the 2018 competition in this exhibition. Admission Free but photo ID required to enter the Embassy. To see the event on the Embassy’s site, see here. On Friday 15th February, there will be an award ceremony titled “An evening of manga” which will not be open to the public. There will be a talk by anime and manga author Helen McCarthy and our Research Director Professor Nicole Rousmaniere will be giving a preview of the upcoming manga exhibition at the British Museum.